We offer a full complement of streaming services to suit any requirement and any budget including all format streaming media hosting, live event streaming and live twenty four seven streaming. We also offer a full range of post production encoding and transcoding services. Contact us today to discuss your requirements with a member of our team. 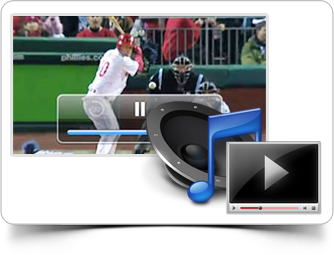 We supply only the highest quality on demand streaming media services to our clients. We support all current streaming media formats including Flash VP6, Flash h.264, WMV, Real Player and QuickTime. From shared media hosting packages to dedicated streaming servers we can host and deliver your content flawlessly every time. Using our live event streaming services you can broadcast your event as it happens, in real time, to the world. Our carrier class streaming server infrastructure ensures we can support live webcast's for any size of audience and guarantee a perfect end result. We provide an 'always on' live streaming service. We have a range of both streaming audio and streaming video packages available based on the required encoding bit-rate and the maximum number of concurrent viewers or listeners. This type of package allows you to broadcast whenever you need to, day or night. It is particularly suited to online TV and online radio channels or anyone running regular live broadcasts. Correct preparation of your content to ensure crystal clear and smooth delivery of your streaming media is of critical importance. Streaming Wizard provides professional post production and media encoding / transcoding services for a wide range of industry standard formats. Protecting valuable media content is a priority for many of our clients. We work closely with several clients in the music and television production industries, all of whom insist on high levels of security and copyright protection for their streaming content. We offer domain restriction to ensure your content cannot be played outside your domain and can also provide security enhancements to prevent third party tools from recording your streams. We have assisted many clients with their streaming requirements and our many years experience means we can guide and assist you too. For large scale streaming projects we offer a full consultancy service from initial project specification, through the design phase to implementation and roll out. Whether it is the installation of streaming servers and hardware, or the configuration of streaming encoders for live broadcasts, an investment in just one day’s consultancy will repay itself many times over in cost and time savings.